Ensure your air conditioner’s efficiency with our help. When it gets warm in Charlotte, North Carolina, it gets really warm, which means you’ll be cranking up the air conditioning in your car and in your home to stay comfortable. Unfortunately, this comfort comes with a high price tag if your air conditioner isn’t operating at peak efficiency, which is why you should turn to us at AppleBlossom Energy for help assessing your current unit and determining if repairs or replacement is necessary. 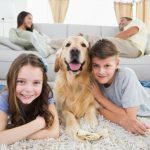 Why should you turn to us over another air conditioning company in Charlotte? For starters, we go beyond the basic services offered by our competitors. When assessing AC systems, we use a scientific approach and focus on what needs to happen to establish greater efficiency. If, for example, your unit is several years old, we give you information about what it’s costing you and what your bills would look like if you went with a new system. Ultimately, our goal is to give you the most cost-effective long-term solution. In addition to working on air conditioning systems, we do whole-house energy assessments, which allows us to give you recommendations for retrofitting your home for better overall efficiency. After providing this service, our clients typically see a 20 to 40% reduction in their energy costs! Keep your air conditioning system up and running at an optimally efficient level with our expertise at AppleBlossom Energy. For more information about our services or to schedule your energy assessment, give us a call. We’re ready and waiting to help! At AppleBlossom Energy, we offer air conditioning services in Charlotte, Concord, Davidson, Harrisburg, Huntersville, and Mooresville, North Carolina. AppleBlossom Energy provides sustainable and renewable products that improve our community, enhance standard of living, conserve depleting resources, and save money in a world of rising energy costs. 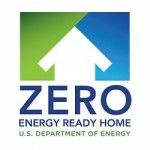 We've partnered with the Department of Energy to bring homes of the future to families of today. Contact us today for more details! 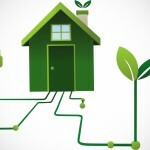 Let AppleBlossom Energy evaluate the energy efficiency of your home. 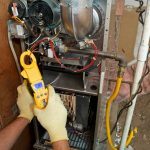 Request your complimentary home energy check-up today! 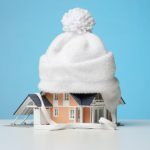 Stay Warm, Conserve Energy - Schedule Your Free Quote for Insulation Installation! 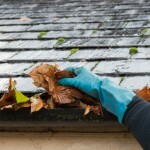 We'll Help You Protect Your Home With Our Gutter Cleaning and Repair Services! Improve Comfort & Energy Efficiency Year-Round! Greater Charlotte, NC including Charlotte, Mooresville, Concord, Huntersville, Davidson and surrounding area! As a Zero Home Energy Partner, Appleblossom Energy offers high performance homes that are so energy efficient, all or most of their annual energy consumption can be offset with renewable energy.